D6's Hilltop Chapel is truly a unique and stunning sight. Our 816 sq. ft. chapel overlooks rolling tree-covered hills with breathtaking sunset views! There are endless decorating possibilities for this amazing space! 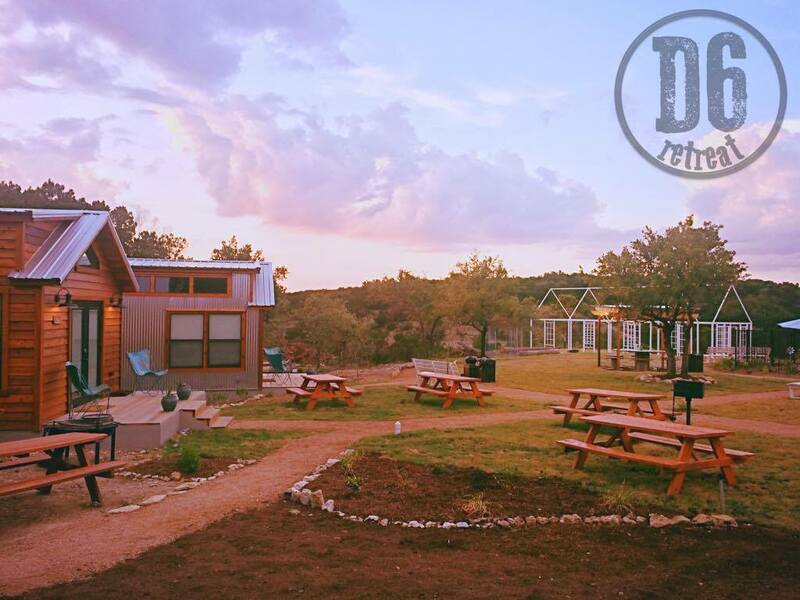 Find out more about our D6 Retreat Wedding Packages. Work with one of our preferred vendors to transform the D6 Butterfly Park into a magnificent gathering place for friends & family. It's a blank canvas for you to create your perfect day. D6 Retreat has 4 luxury private villas with full kitchens & laundry in each villa. The entire retreat sleeps up to 21 guests. All of our amenities and lodging are included in the price of our premier wedding package.